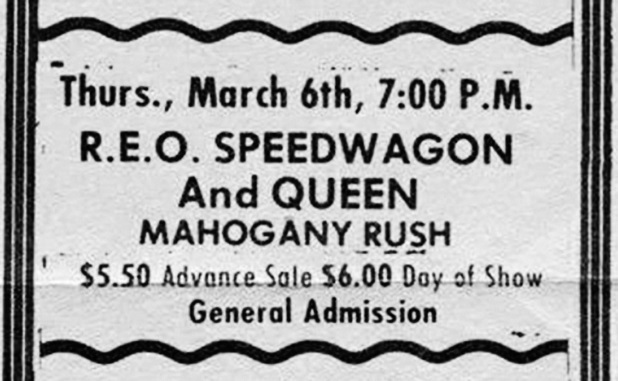 The flyer and ad above indicate that Queen didn't headline every show on this tour. It is uncertain if Queen were the opening act or if it was a double bill. But it is certain that REO Speedwagon performed last. 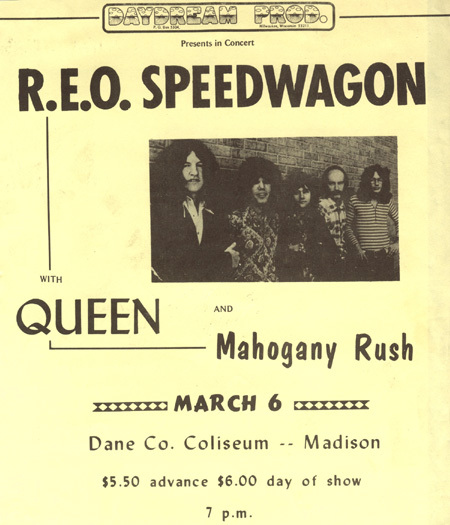 Someone who saw the show recalls: "I was a huge REO fan in the early 70's. Queen opened for them when the Sheer Heart Attack album came out. We left the concert thinking REO had just been served!" Here is yet another negative review of a Queen show (which also clarifies the order of the bands). Many thanks to Mike Tremaglio for this submission and countless others.